The Greenville Triumph are back home at Legacy Early College on April 13 at 7:00 pm for their second home game. The Triumph (1-1-0) take on the Chattanooga Red Wolves (1-1-0) in the first of three meetings during the regular season. The Triumph are looking to build on the momentum from last week’s Home Opener and notch their second win of the season. 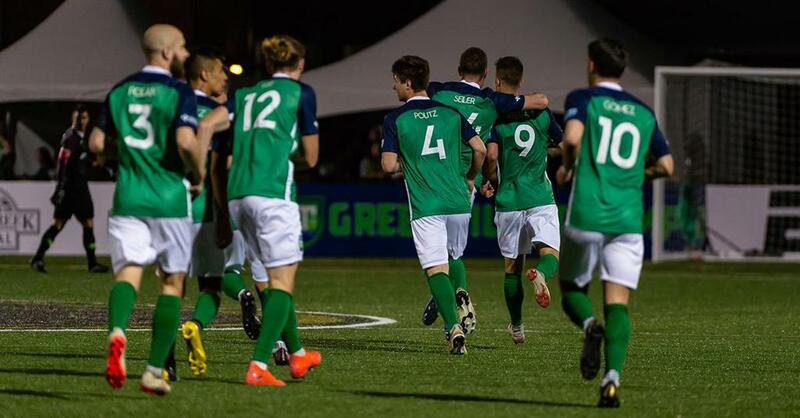 Jake Keegan scored the first goal in club history last week in the 53th minute against Lansing Ignite, sparking a forward push for the Triumph in which they produced an impressive 22 shots during the match. Kevin Politz was able to capitalize in the 85th minute to score the game-winning goal for Greenville. The Triumph currently lead the league in shots with 36 on the season. Chattanooga comes to the Upstate after beating Forward Madison (0-1-0) 1-0 on Saturday, April 6. Fresh off of scoring his first goal of the season, look for Jake Keegan to try and get the ball in the back of the net as he currently leads the league with 12 shots. Will youth or experience be the key to Saturday's match? The average age of Chattanooga’s squad is 27 years old while Greenville’s team has much younger average age of 24. The Red Wolves have 6 players 30 years old and older while Greenville’s boasts an age range of 19-28 years old. The Triumph will be hosting a free Fan Fest across the street from Legacy Early College field beginning at 5:00 pm. There will be live music, giant soccer darts, food and more! You can find all information regarding parking, Will Call, clear bag policy and more on our A-Z Guide. The box office opens at 5:00 pm, gates open to the public at 6:00 pm, and the game will start at 7:00 pm. The Triumph’s next match is schedule for April 20 at 7:00pm where they will host the Richmond Kickers at Legacy Early College. Tickets are available at GreenvilleTriumph.com/Tickets.